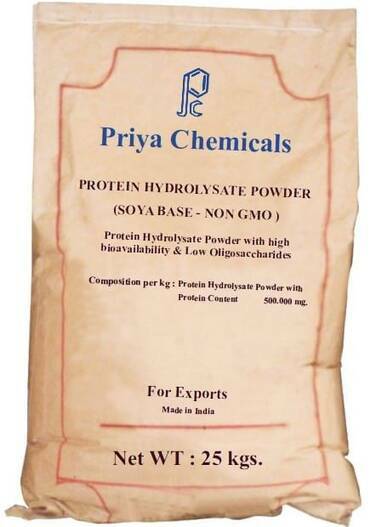 Protein Hydrolysate Powder is manufactured from Soyabean (NON GMO) using enzymes of plant origin.The product has high digestibility, low content of antinutritional factors and high palatability.Urease activity is 0.05mg per gm. It is ideal for formulating diets of Chicks, Calves and Piglets. Packing 25 Kg Multilayered Paper Bag.